Decidedly different from Murakami's past works in that this was grounded more in reality and lacked the magical realism he was known for. However, Murakami replaced that with a stronger emotional core throughout the novel. This was essentially a story about self, love and happiness. A dark story - possibly one of his darkest - that only had occasional glimmer of hope and light. But those glimmer are enough to sustain optimism...or are they? That oscillating hope illustrates Murakami's skill as a storyteller (not so much a wordsmith per se since this is a translated work). 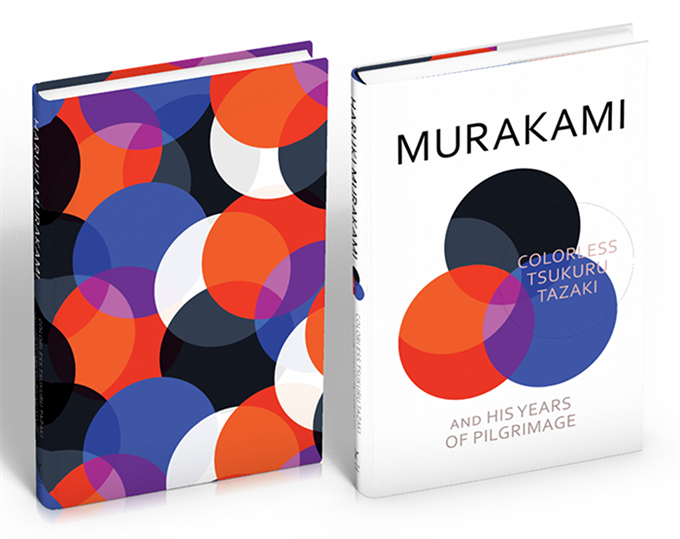 This is Murakami's most emotionally resonant work since Norwegian Wood and also perhaps one of the most easily accessible to new readers. 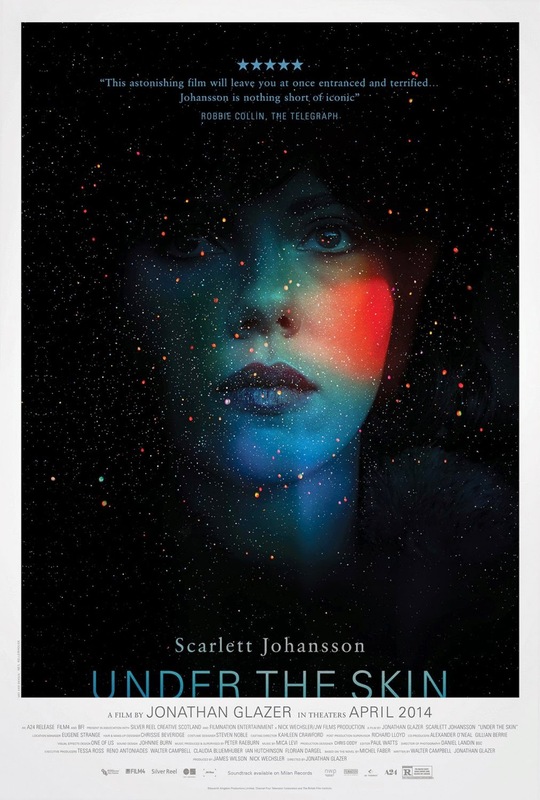 Director Jonathan Glazer and co-writer Walter Campbell have crafted what is definitely one of the strangest, most WTF, yet strangely alluring art house alien/sci-fi movie ever based on a novel by Michael Faber. However, beneath all that strangeness, there lies an oddly sad story and commentary about human nature which was brought to life in all in muteness by the magnetic screen presence of Scarlett Johansson. In a role that is a total opposite of that in Her, Johansson barely spoke here, but yet she and Glazer had managed to make her character highly intriguing and the story oddly engaging. As an audience we are constantly asking ourselves "What is happening?" and "What is going to happen next?" - and that in itself is excellent storytelling that is so rare in Hollywood these days. 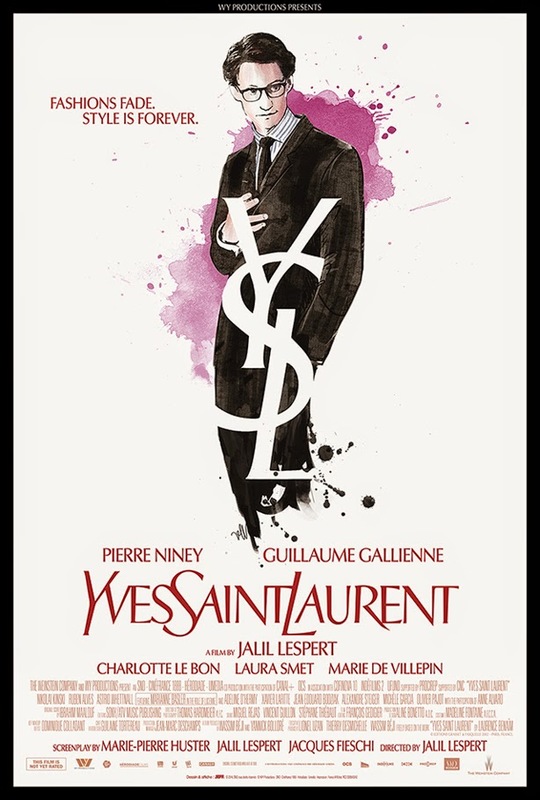 The biopic of the tulmultuous life of troubled fashion savant and enfant terriblé Yves Saint Laurent started of with a lot of promise but midway, like Saint Laurent himself, director Jalil Lespert got lost in the debauched excess, losing focus on the main subject and his relationship with both Fashion and Pierre Bergé. Pierre Niney as Saint Laurent got his shy demeanour in the beginning down pat, however as the story progressed, Niney slowly failed to capture that lost, desperation and maniac dependency that plagued Saint Laurent. Guillaume Galliene as Bergé, however, was a constant rock throughout much like how his character was portrayed. Though biasness would be inevitable since the story is told from his point of view. The sweeping piano and violin score by Ibrahim Maalouf was a highlight. And of course also the gorgeous costumes by Madeline Fontaine throughout. No surprise this film was not screened in Singapore. Les Modes Passant, Le Style est Éternel. The heroes in a half-shell are back in a brand new, reboot origins story. 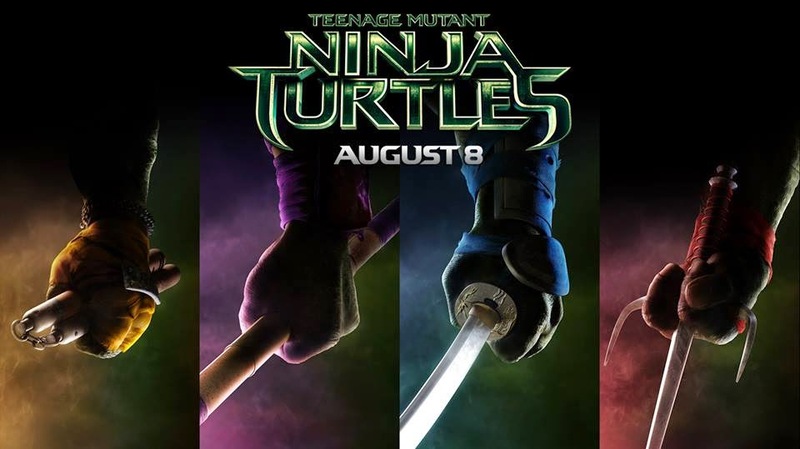 Jonathan Liebesman does a competent job in giving us a relatively fun romp re-introducing the turtles to a new generation. At least he understood that the storyline cannot support too long a show time, and during the snappy 101 minutes focused mainly on Megan Fox and action - unlike producer Michael Bay. The turtles are slightly different from their cartoon counterparts but broadly retained their basic characteristics. Surprisingly, Raphael got the lead here. Liebesman gave us a fairly straightforward origin story but other than a very good action set towards the end of the Second Act, the rest of the movie was fairly simple with no real big twists or unexpected results. Although the origin story itself was a departure from the story that we grew up knowing. Joe Wright's adaptation of Leo Tolstoy beloved classic is extremely stylised, uniquely presented and a gorgeously sumptuous feast for the eyes and ears. 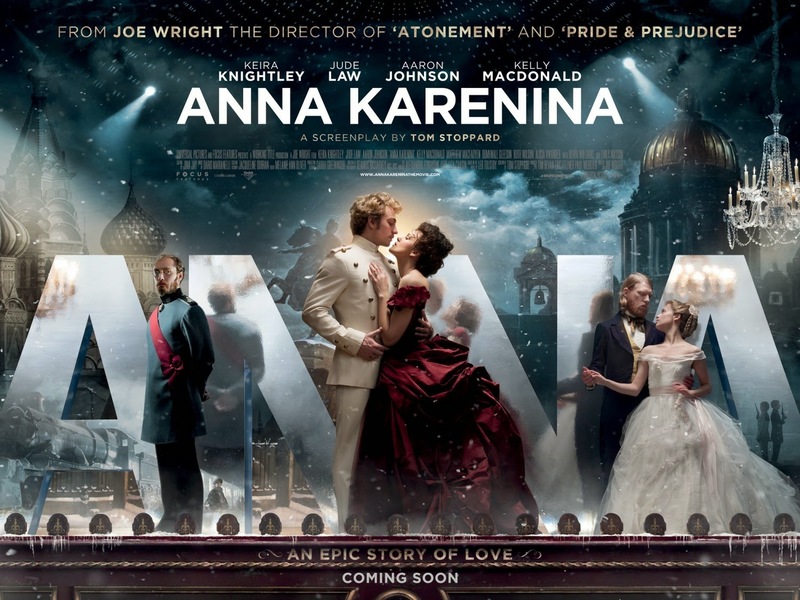 However, the directing, although unique, was inconsistent, occasionally bordering on simplicity, with style over substance; the storytelling deceptively simple with all of Anna's complexities and Tolstoy's social/political commentary lost. Wright again brought out the best of Keira Knightley, and similarly Jude Law also stood out, but young Aaron Johnson (now Taylor-Johnson) was badly miscast. Wright chose a very unique way to present this story, and although it took a few minutes to get use to it, it was nonetheless arresting and visually spectacular. However, Wright noticeably got lazy and this technique became inconsistent, and when it did not serve the narrative was abandoned without forewarning. 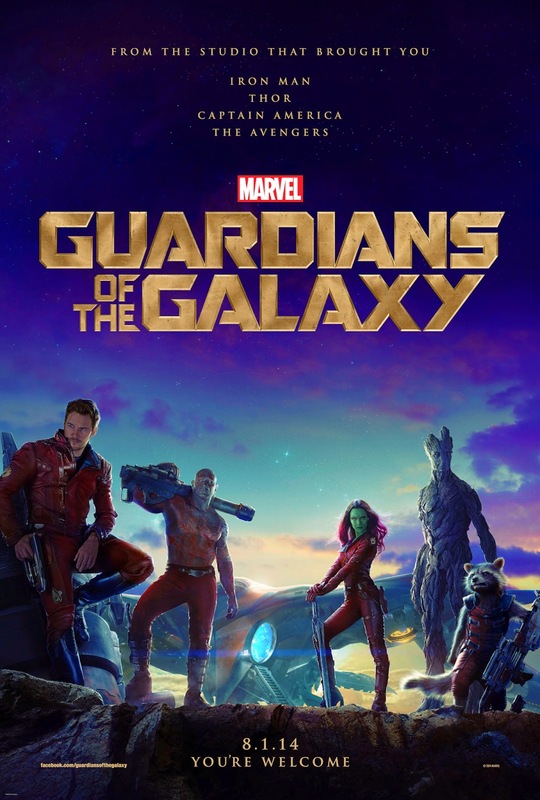 Marvel and James Gunn have on their hands a new space-movie franchise. This was a fun, enjoyable ride that would definitely appeal to the majority of the public as evident by my audience's response. The two best elements were the awesome 70/80s mixtape playlist peppered throughout and the incredible creature (and floral) design and directing of Groot. However, it does not really stand out amongst past Marvel movies and Gunn's voice can be best described as the poor man's Joss Whedon.